Phenomenal, corner home with breathtaking views & additional privacy located on the east end of the community. This is an exceptional Gulf view end lot just one tier back from the Gulf with easy access to the private beach boardwalk. 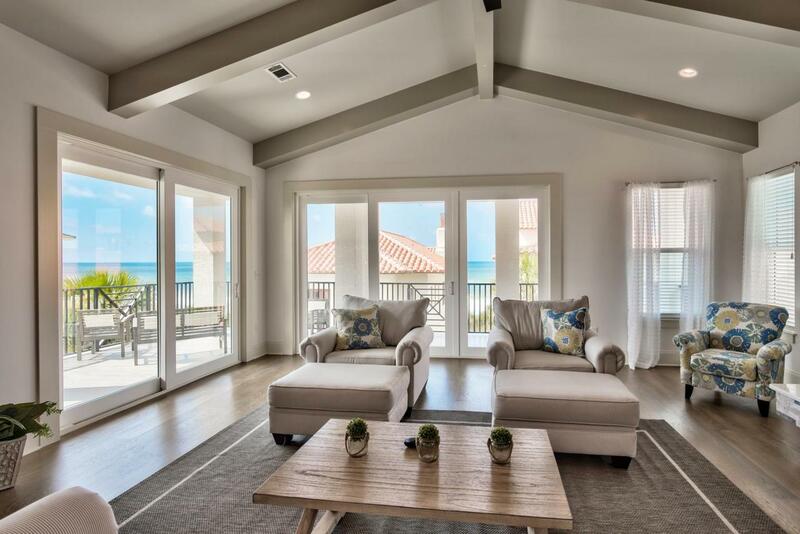 The main living area and kitchen is positioned on the top floor to maximize the Gulf views and features elegant stained oak flooring. Craftsman touches like the custom beams & cathedral ceilings create a beautiful spacious setting. 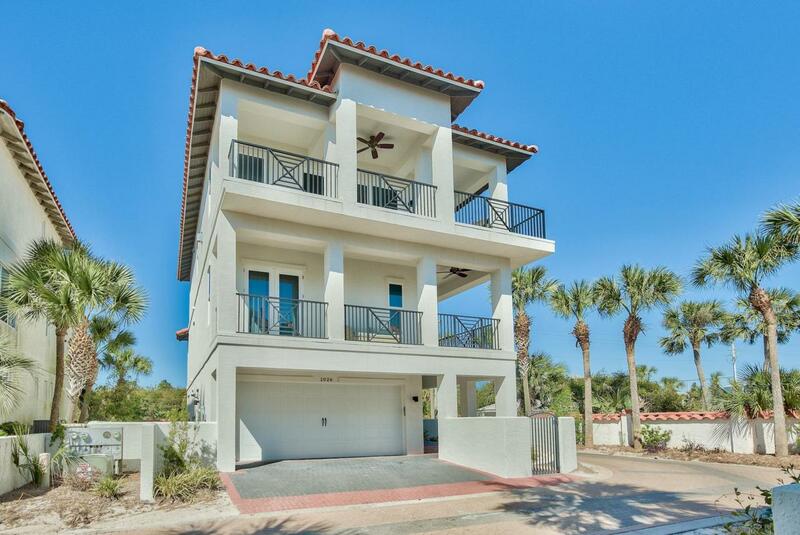 Enjoy an expansive oversized wraparound balcony with 13 ft depth - a true extension of the home & perfect place to take in the Gulf views, relax, dine & entertain! Beautiful and classic Mediterranean architecture set the tone reminiscent of a quaint, coastal European town. 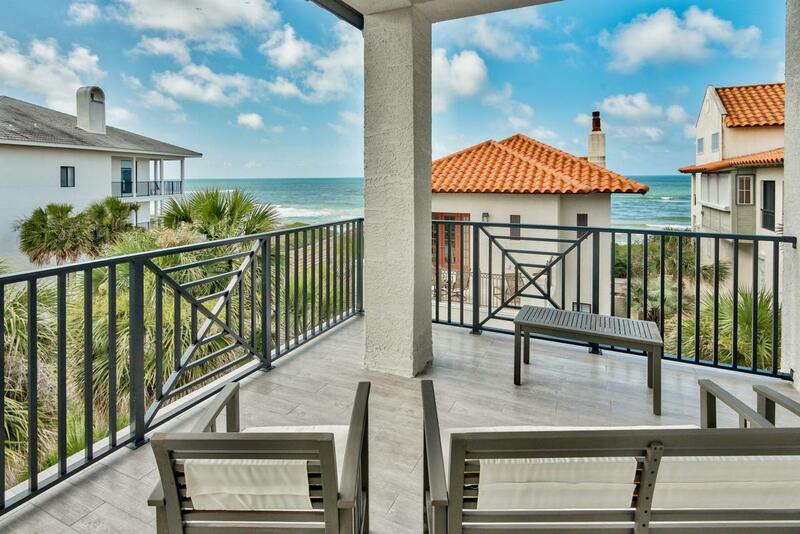 Escape to luxury beach living at Vizcaya!The home features a very open floor plan, a 2-car garage, private elevator, brand new coastal decor, 10 foot ceilings on the 1st & second floor and cathedral ceilings on the top floor. There is a custom top of the line kitchen with stainless steel appliances, gas range, beautiful Quartz countertops & breakfast bar island, contemporary cabinets, classic subway tile backsplash and a pantry. The living area is very inviting with the custom stone tiled gas fireplace and picturesque views. Plenty of room to relax or entertain along with a large flat screen TV. There is a formal dining room with beautiful natural light and stunning oak floors on the top and second level. The master suite is located on the second level and is beautifully done. This room is very spacious with a king bed, walk-in closet and breathtaking en-suite master bathroom. The master bath tile extends from the floor to the walls for a unique contemporary look. There is a double vanity, Quartz countertops, separate custom tiled shower and Jacuzzi tub to unwind in. There are two spacious guest bedrooms on this level as well, one with a queen bed and the other with two full beds. There is a lovely shared guest bathroom with tile floors, Quartz countertops and contemporary cabinets. The first floor features two bedroom both with en-suite bathrooms for convenience and privacy. Both rooms features contemporary tile flooring and one room is being used as a deluxe bunk room which is great for rentals! There is a laundry room on this level with a full size washer & dryer and upper shelving. This home is sure to impress and is being sold fully furnished & decorated. 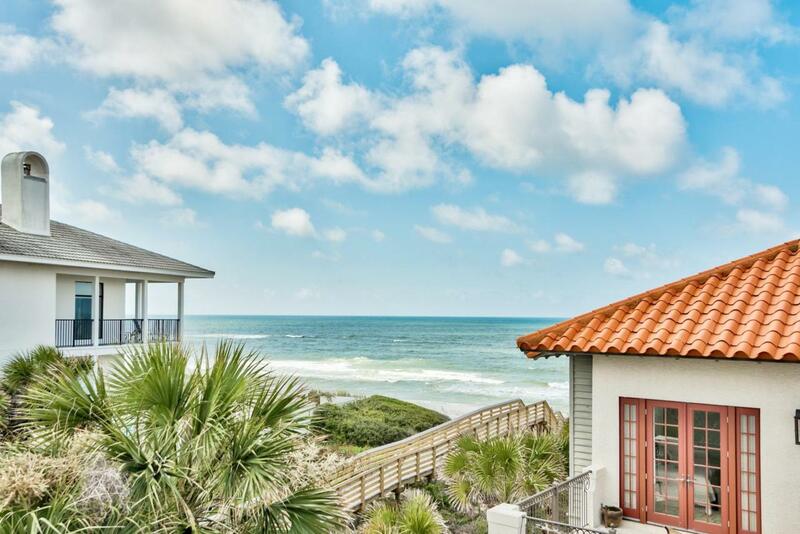 It is currently a beach rental with ResortQuest by Wyndham Vacation Rentals and is projected to gross nearly $185,000! Vizcaya is a low density quiet oasis with only 32 residences offering a private pool with bar area, pool cabanas and three beach walk overs providing easy access to 1,000 feet of beach frontage for your personal enjoyment. This is a phenomenal opportunity.